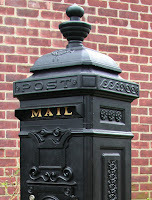 For the month of November, Mailbox Monday is being hosted by Marcia at the Mailbox Monday website. Next month's host will be my friend Jenny Q at her blog, Let Them Read Books. Hello, dear readers! I hope you all had a wonderful Thanksgiving holiday! I had a great time seeing my family in Florida and am still stuffed from all the delicious food we ate, but isn't that what it's all about?! 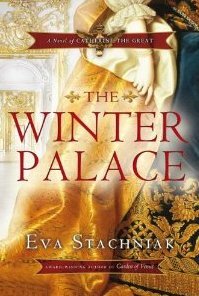 For this Mailbox Monday I have a new e-ARC that I received from NetGalley...The Winter Palace by Eva Stachniak. This will be my first read on Catherine the Great and I hope it's a good introduction. 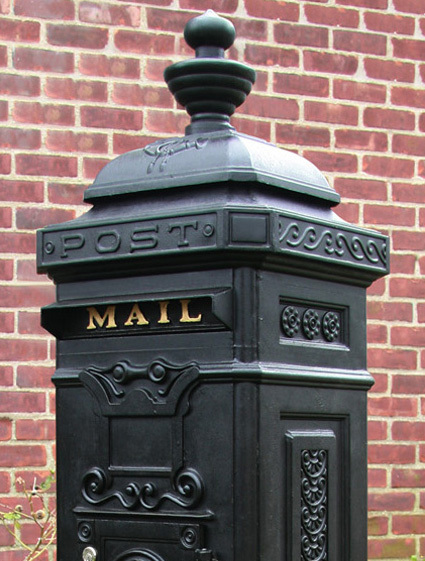 That's my mailbox...what goodies did you receive? I love the cover of that one. Enjoy! I too love the cover of that one -- sounds amazing! This sounds great, and a great cover. A box from the Historical Novel Society with five - count them - five goodies to review! Gorgeous cover! I hope you enjoy it! Sounds like a good one -- hope you enjoy it! This one is on my wish list. I hope you enjoy it! I'm really interested in reading that one. I must admit being a bit skeptical about how much a lowly servant would actually see of the goings-on, I'm willing to suspend my disbelief a bit because this fascinating part of history has been SO neglected. I have this one; hope I enjoy it more than my last Catherine the Great read. I have added THE WINTER PALACE to my reading list thank you. What a fabulous review! I found my eyes getting rounder and rounder as I was reading it. I will definitely add this gem to my Wish List. Thank you so much, Amy, for sharing this. That book looks wonderful! Don't historical novels have the most gorgeous covers? Love it! Have a great week, Amy! I'm so anxious to read The Winter Palace!